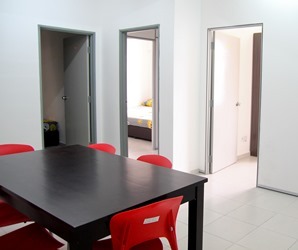 Rental for each student ranges between RM360 (USD90) to RM460 (USD115) per month, depending on the room size, and the cover charge of RM150 (USD40) which is one-time payment for the welcome pack and travel pass. 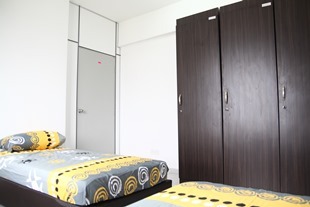 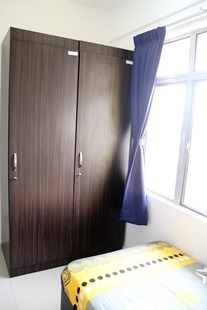 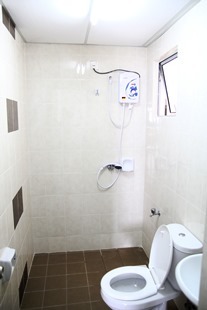 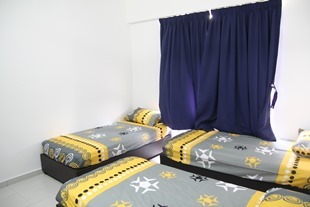 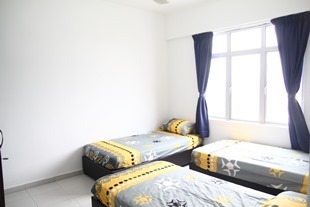 The rooms are lent to students on single, twin & triple sharing basis. 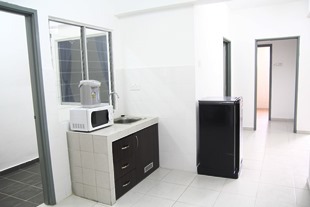 The following is provided in each apartment: water heater, shared study area, refrigerator, microwave oven, bed with divans, and Wi-Fi. 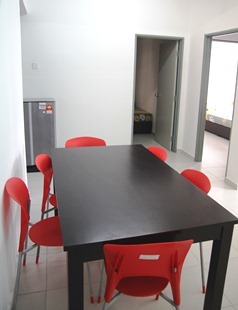 Cooking unit can be provided with additional RM20 per student. 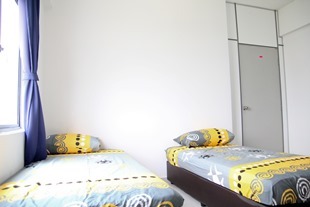 Students in Standard Apartments will pay for utilities on ‘Pay as you use’ basis. 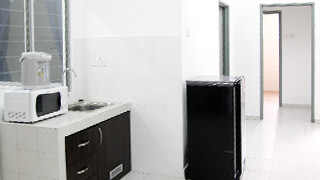 The apartments are located in the Academia apartment.